Dr Pepper Snapple Group (DPS) and national non-profit KaBOOM! 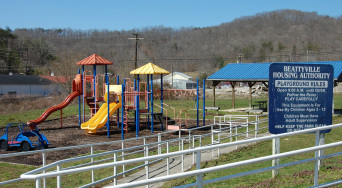 awarded Beattyville, KY $20,000 Let’s Play City Construction Grant as announced Monday, June 4, 2012. Beattyville received the grant because it was selected as a 2012 Playful City USA community by KaBOOM! On May 18, 2013 The City of Beattyville used the $20,000 Let’s Play City Constitution Grant to update the playground equipment in the Beattyville City Park. With this grant funding and a group of volunteers, the City of Beattyville purchased and installed updated playground equipment to the 10 year old city park located downtown next to the Kentucky River. ​Call Beattyville City Hall (606) 464-5007 to reserve. 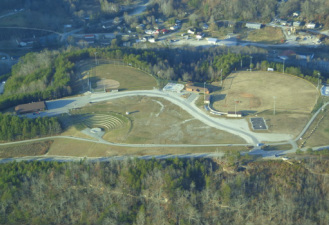 Happy Top Park was a mountain top removal project that turned into one of the most used parks in Lee County. 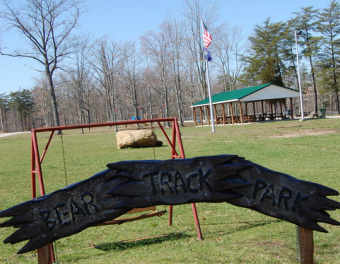 On Happy Top Mountain there is a half mile walking trail that surrounds a community center, ampletheater, baseball field, softball field, basketball court, picnic shelter and the new Splash Park. The Splash Park is a closed water filtration system which is free for public use and loads of fun for children of all ages. The ampletheate is a great place for weddings, concert, community plays and more. Happy Top Park has a few lookout points with breathtaking views of the Kentucky River and the rolling hills and valleys of Appalachia. Call Debbie at 560-8370 to reserve the amphitheater, community center. Call Vickie 464-4100 to reserve the picnic pavilion. Funded by the housing authority, this playground in city limits was build for the children and families living in nearby subsidized housing. There is a really nice picnic shelter for cookouts and birthday parties, along with two sides, climbing and monkey bar areas, and swings. Located next to Bear Track Grocery on HWY 52 toward Irvine, this park has been a real gem of the Bear Track Community. It has fantastic views of the Daniel Boone National Forest that can be seen from the picnic shelter and playground area. The park also has water fountain and bathroom facilities. It is a popular spot for vendors during the HWY 52 Yard Sale every year on Friday and Saturday's after the 4th of July. Call Kim at 304-1024 to reserve. This park in Heidelburg is right next to the river at Lock 14. The community of Heidelberg was at one time larger than Beattyville for it was a major location for transporting natural resources along the river and railroad. It is also along the path of the Sheltowee Trace. 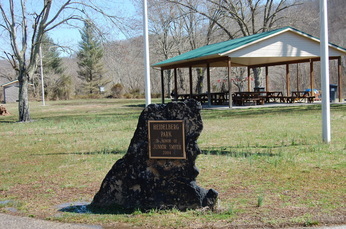 The park offers a restful place for hikers of the trail to picnic before continuing their journey. There is a walking track for the public to come and exercise while letting the kids play. There is also a newly surfaced basketball court and public restroom. 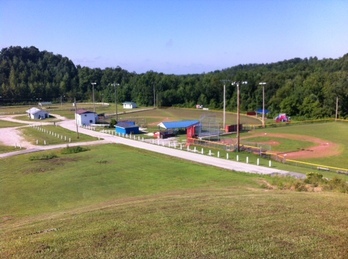 Located off HWY 11, this park is all the little league ball games and horse shows happen! There is a horse show ring with electric and bathrooms, a baseball field, softball field, two picnic pavilions and a playground.